Crossing the boundaries of art, history and community, spaced 2: future recall invites you to rediscover regional Western Australia from the viewpoint of 14 acclaimed international and Australian contemporary artists. spaced 2: future recall is an international group exhibition that showcases the artistic, cultural and social outcomes of the second edition of spaced, a recurring international event of socially engaged art. 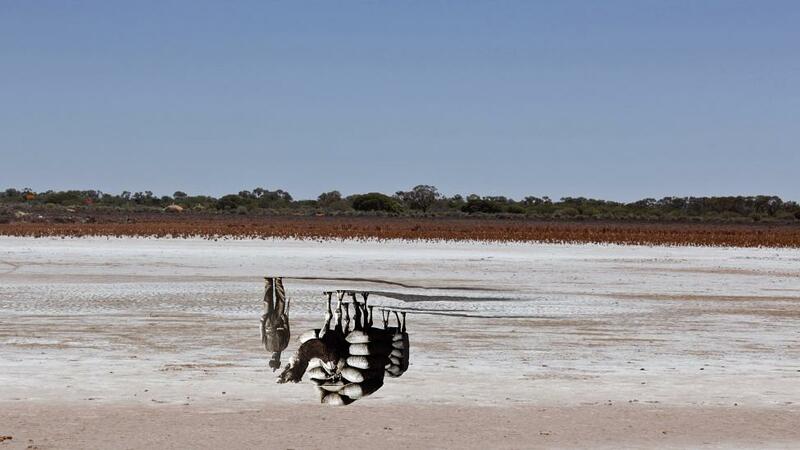 The exhibition draws together works made by Australian and overseas artists who lived and worked for extended periods in Western Australian rural and remote communities throughout 2013-14, developing new works based on an engagement with local residents, histories and landscapes. Presented in partnership with the Western Australian Museum, spaced 2: future recall explores the idea of collective memory, as the source of competing narratives through which communities create new visions of their present and future. Participating artists: Michael Bullock (VIC), Erin Coates & Anna Nazzari (WA), Archana Hande (India), Lily Hibberd (VIC), Jay Koh (Singapore/Germany), Pia Lanzinger (Germany), Maddie Leach (New Zealand), Tea Mäkipää (Finland), Daphne Major (The Netherlands), John Mateer (WA), Daniel Peltz (USA), Ruben Santiago (Spain). Participating communities: Albany, Bangalore, Cervantes, Cocos Islands/Katanning, Derby, Esperance, Geraldton, Karratha, Laverton, Mandurah, Tom Price, Western desert communities. Image: Archana Hande, The Golden Feral Trail, 2014, digital print on archival paper, courtesy and (c) the artist.